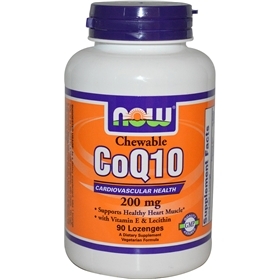 Suggested Usage: As a dietary supplement, take 1 lozenge daily, or as advised by a health practioner, with meals. We highly recommend taking this product with a source of essential fatty acids such as NOW® Flax Oil, Evening Primrose Oil, Borage Oil or Omega-3 Fish Oil. Contains no: salt, starch, yeast, wheat, gluten, milk, egg, shellfish or preservatives. Vegetarian/Vegan Product.